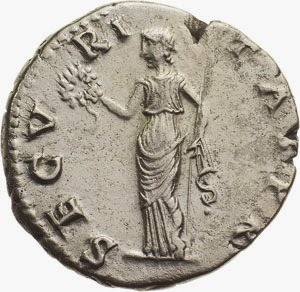 Marcus Salvius Otho was born in 32 AD to a family whose head, Lucius Salvius Otho served as consul under Augustus. 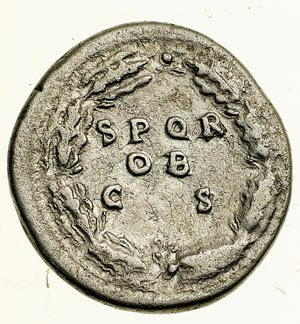 As an adult, he sought a political career, and developed a friendship with Nero. 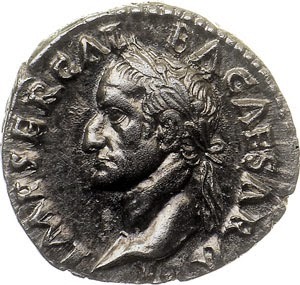 When Gaius Julius Vindex revolted against Nero, Galba became Vindex's choice to replace him. 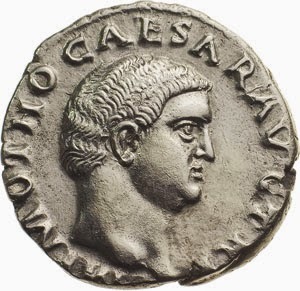 Otho became a major supporter of Galba. Part of his motive may have come from Nero's romantic involvement with Otho's wife,Poppea Sabina, who Nero stole from him and married. 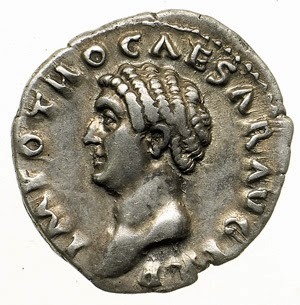 Nero then made Otho the governor of Lithuania to get rid of him. 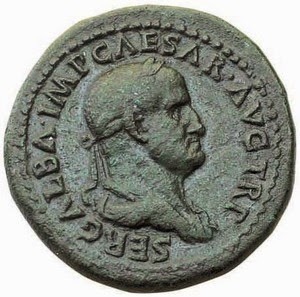 Otho's loyalty and support of Galba was meant to serve two ends. First, to put his compatriot Galba on the throne, and second, to give Otho a front position in the imperial line of succession. Galba, however, had a different successor in mind. 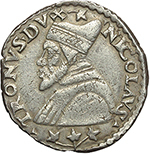 He named as his heir Piso Licinianus. Otho, angered by this action, commenced to plot against Galba. He sought and received support from the praetorian guards, primarily through bribes and the promise of future remuneration. Otho's power base came from the support of the praetorians, as he was a politician rather than a military leader with troops. 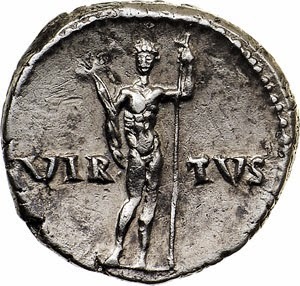 Very quickly after his elevation to the throne, he received opposition from a military general, Vitellius. 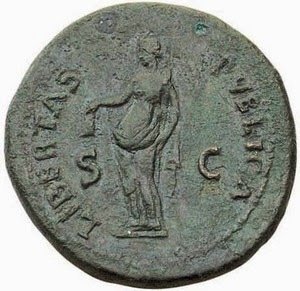 Vitellius was proclaimed emperor by his troops in Germany. Vitellius had his generals invade Italy from the north. Otho massed troops and went to face his challenger, despite his own inexperience. Otho's troops engaged those of Vitellius in the First Battle of Bedriacum. Vitellius outmaneuvered Otho's troops, defeating them decisively. 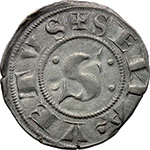 Otho killed himself after the loss, bringing to an end his three month reign. 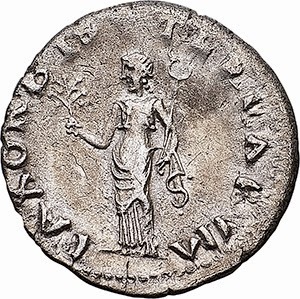 Due to the brevity if his reign, relatively few numismatic issues commemorate Otho's tenure as emperor. 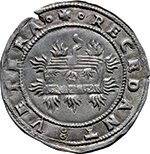 Of what was issued, the predominant coins are denarii. Only a few reverses compliment these pieces. 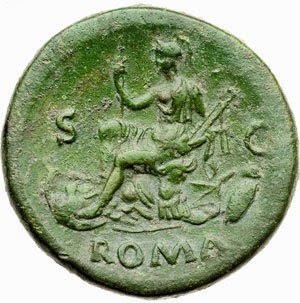 Of these, the most frequently found is Securitas, followed by Pax Orbis. 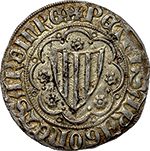 The portraiture on Otho's coins maintained a high artistic standard. 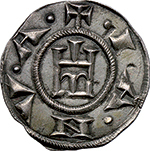 No known bronze coins were issued in his name. 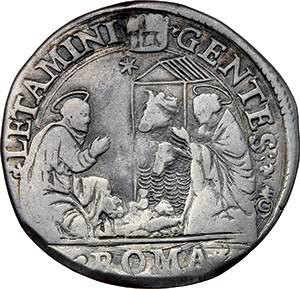 To obtain an image of Otho in bronze, it is necessary to acquire a paduan fantasy medal, issued during the renaissance. 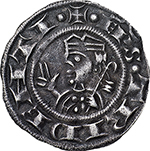 His gold coinage was very limited as well, and is highly sought after today. All issues of Otho are scarce or rare, and extremely desirable.